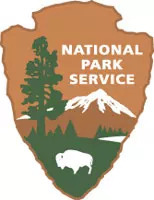 Every Saturday in July and August the Blackstone River Valley National Historical Park will be conducting outdoor recreation and science exploration activities at the Captain Wilbur Kelly House Museum in Lincoln RI. There is no cost and families are encouraged to stay after Science Saturday to explore the Kelly House Museum, the Blackstone River and Canal, as well as the Blackstone Bikeway. Programming is 60-90 minutes long and starts at 10:30 a.m. and 1:30 p.m. In case of inclement weather, we will have alternate activities in the barn at Kelly House. On July 14 we will be testing the water of both the Blackstone River and the Blackstone Canal. There will be a simplified water testing kit for younger children as well as a more comprehensive water testing kit for teenagers. 10:30 a.m.; 1:30 p.m. - 12:00 p.m.; 3:00 p.m.